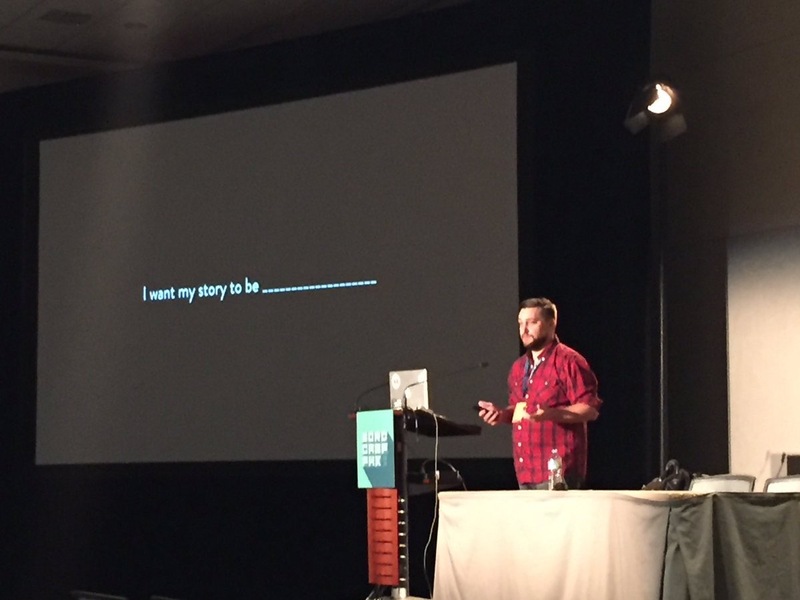 I was super humbled by the opportunity to speak at WordCampPHX today on a topic close to my heart – Changing the World One YOLO at a Time. 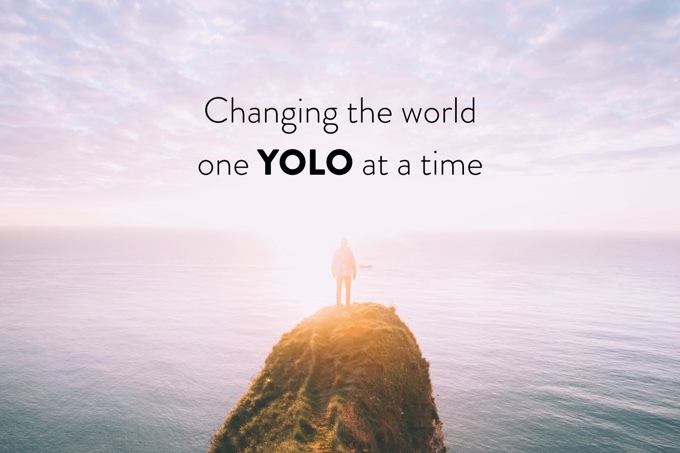 This YOLO attitude has been driving me ever since I left a $100 million nonprofit and launched my own website design & development company despite only knowing basic HTML & CSS. The whole concept is pretty simple. In order to fulfill your dreams and be successful as a business owner, creative, employee, or entrepreneur, start by finding your why. Approach obstacles and challenges as though you were the lead character in a compelling story. Set some goals and be intentional about reaching them. And start living every day with a YOLO approach! Oh, and never give up if you want to succeed. If I did this, so can you! I’ve grown my company from one person (myself) to a 3-person team based here in Phoenix with contractors around the country. And we are doing work for companies around the world. None of it would be possible if I hadn’t visualized where we wanted to go and took the YOLO leap of faith to start this amazing journey. 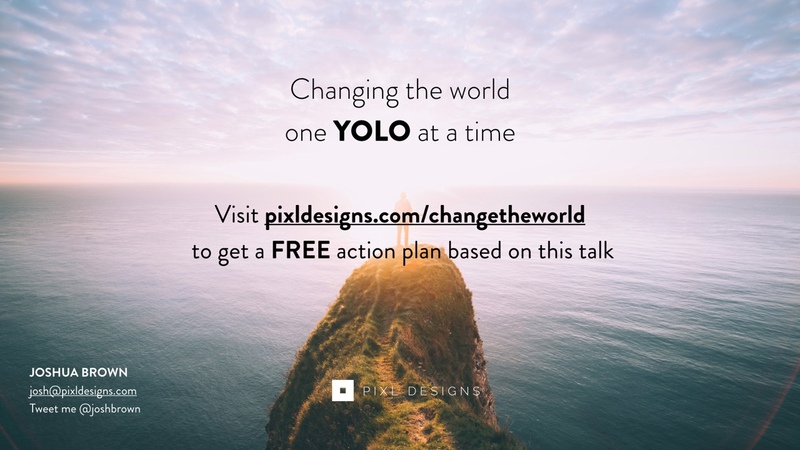 I’ll post a recording whenever those are made available, but in the meantime feel free to get a free action guide I created based on my talk today below! During my talk I gave several recommended books to help people reach and fulfill their dreams. Every one of these books and speakers has helped shape me into the leader I am today. Lastly, I didn’t mention this in the conference but I am getting more and more interested in helping coach people starting out their business to help them get to the next level. In fact, I’ve been building out a one-on-one training series and brainstorming a Master Class opportunity for leaders and entrepreneurs at all levels. If you are interested please then check out my Business Coaching page and get signed up! You are some amazing souls. And doing some great things. Keep walking forward on your path to change the world one YOLO at a time.